I thoroughly enjoyed the Big Allotment Challenge this year and was eagerly looking forward to another. We put our names down on our local allotment waiting list a few weeks before the show aired last year and it was a good job that we did as the waiting list jumped up to 20 people after The Big Allotment Challenge had been on the TV. When the first season aired we didn't have a plot of our own and this may have been why I quickly lost interest in it. When I saw it was on the TV this year I didn't pay it much attention. I've joined several gardening groups on Facebook and kept noticing people posting about the Big Allotment Challenge and decided to give it another look. I was charmed. The show focused on three elements; a county fair style exhibiting challenge, flower arranging and cooking. Each element used produce that the contestants grew on their allotments and every week the contestant that had not come up to scratch had to leave. The format was more like The Great British Bake Off than a gardening show. The Big Allotment Challenge did have plenty of growing tips but there was not very much emphasis on the contestants out there tending their plots instead we saw what happens to the vegetables and flowers after they were picked. I would have liked to see more of the growing parts of the show. Perhaps a pre show before the challenges started would have worked to show the graft the contestants put in. The contestants tended their plots for several months before the judging started. I wonder what happened to all the growing footage? Especially the footage of the contestants that went home. That could have been another show in itself. Despite the lack of gardening I did enjoy the show and was sad to hear there will not be another season next year. These days it's rare that I watch anything on TV and find gardening shows particularly tired and dated, the Big Allotment Challenge did manage to lure me away from YouTube for one evening a week and that's no easy feat. 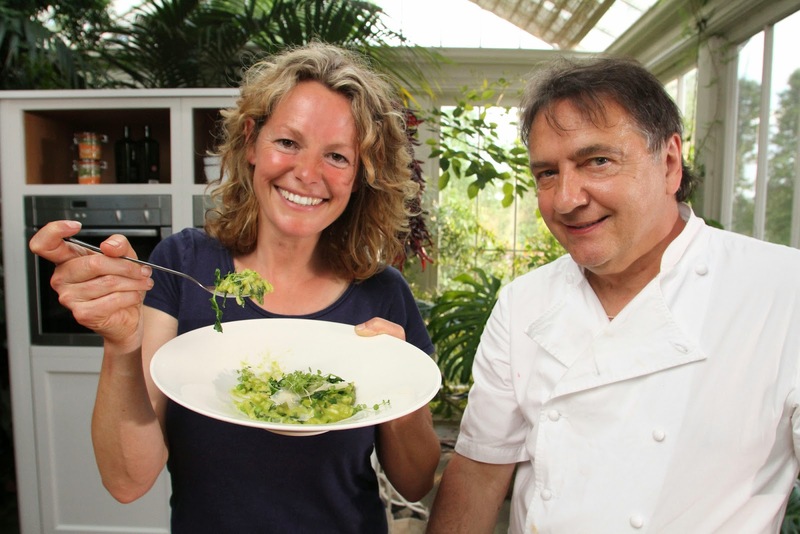 There is another show coming this Spring to BBC2 that has captured my interest and that's Kew On A Plate with Kate Humble and Raymond Blanc taking on a mammoth heritage vegetable garden. With these new shows and formats a foot I'm excited and I'm not quite ready to write of TV forever just yet.